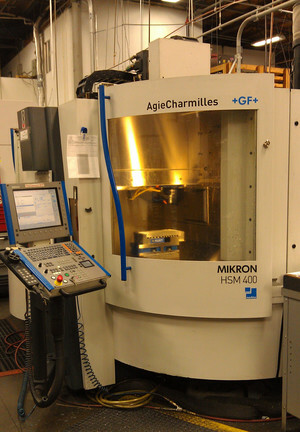 High speed milling services from C&H Machine provide the accuracy and efficiency our customers are looking for. In order to best meet production needs, we offer a number of high speed milling processes, including 3D milling and hard milling. We operate multiple high speed CNC mills, including one with an 8-pallet workflow system, to deliver outstanding efficiency and versatility. C&H Machine’s world-class machine shop has the state-of-the-art high speed milling equipment and skilled machinists to ensure quality results every time. Our most advanced high speed milling machine has a laser tool probe to check tools before, during, and after operation to ensure no breakage or excessive tool wear has taken place. The machine ceases production should either instance occur, ensuring that it won’t continue its automated work processes with damaged tools that could cause poor performance, system malfunction, or damage to the parts and components being machined. 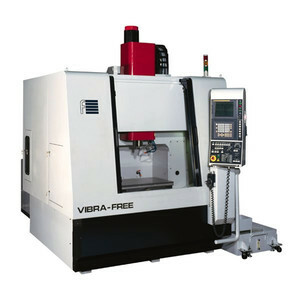 With this safety system in place, the machine can run CNC high speed milling programs in a “lights out” mode for days or weeks at a time, with no breaks in production and little to no operator involvement. This allows C&H Machine to complete projects with extremely fast turnaround times, and at lower costs. C&H Machine also provides high speed milling with a fully-sealed, vacuum-equipped machine that is ideal for machining graphite electrodes and other hazardous materials. The materials used in these processes can be messy, difficult to clean up and hard on the mill machine itself. But, thanks to our high speed milling machine’s fully enclosed work envelope and vacuum filtration system, the cut waste isn’t allowed to contaminate the working environment. Using this setup, C&H Machine can also perform high speed milling services for dangerous or hazardous materials, such as fiberglass, beryllium copper, and others. Our high speed milling processes are also very effective for hard milling. Running at over 40,000 RPM and making small, precise cuts, C&H Machine’s high speed milling equipment can fabricate such exotic materials as titanium, inconel, invar, and hard metals 60 Rockwell and above. C&H Machine’s high speed milling capabilities provide better finishes and surfaces, faster run times, and superior efficiency. Our constant process improvements are making our already exceptional services even better every day. Contact C&H Machine for further information on our high speed milling services.